City leaders commitment to help struggling homeowners, even despite threats from powerful financial institutions, has inspired scores of activists across the country—from Irvington, New Jersey to Seattle, Washington. The Richmond City Council approved a permit Tuesday night to allow a marijuana dispensary to move from its current location near Hilltop Mall to a largely abandoned street on Bissell Avenue, less than one block from the Target on Macdonald. Richmond Confidential obtained a list of 602 of the 624-targeted mortgages, which we’ve mapped. When comparing a map of the homes the city has targeted for assistance to a map of foreclosed properties in the city, one thing is clear: They’re pretty different. It was one of those public meetings with a whole lot of talk and no action, but this discussion –in Oakland – is nonetheless crucial to Richmond’s plan to prevent future foreclosures. That’s because Richmond may need the support of other cities to succeed in its struggle with the banks. Richmond has seen an increase in “zombie” foreclosures, meaning that the bank, upon foreclosing on the homeowner, never took ownership of the home. The practice allows banks to avoid liability. It also increases blight, and makes it difficult for the city to manage abandoned properties, which often turn into blighted eyesores. As critics point out, the people behind Mortgage Resolution Partners bear some striking similarities to the Wall Street bankers they’re ostensibly fighting. Chairman Steven Gluckstern says that although all three of the firm’s partners have worked for financial institutions in various capacities, none of them have any connection to the mortgage-backed securities that created the financial crisis of the mid-2000s. 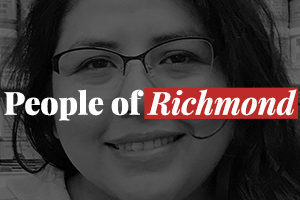 Richmond’s unprecedented plan to help homeowners refinance their mortgages has sparked a national debate about the use of eminent domain, but until now officials haven’t shed much light on how they selected the list of 624 mortgages. Last Night’s gathering at the Police Activities League was pegged as a “debate” on the pros and cons of the city’s plan to buy or seize 624 underwater mortgages. But only the opponents’ spokesman showed up.